As I've said before, I am a reformed over-packer. True Life: We wore all of our clothes on the plane to avoid being charged for heavy bags. I mean I really, really, REALLY badly overpacked. Always. It's embarrassing to think about how much I towed around for almost no reason. 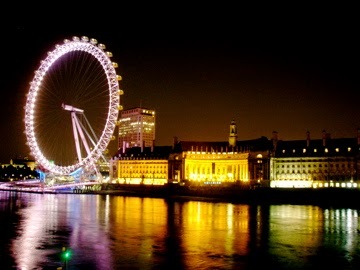 When I was a senior in college, I took a semester abroad in London. We lived in a flat near the Marble Arch, and it was the best few months of my life - hands down. What I wish I knew then was how to pack for this wonderful time of my life. I brought two massive suitcases (weighing very close to 50lbs each), one carry on sized suitcase with my heaviest items, and one "personal item", a pretty large duffle, that I would never get away with these days. I have so much advice for you, future study abroad student, you have no idea. 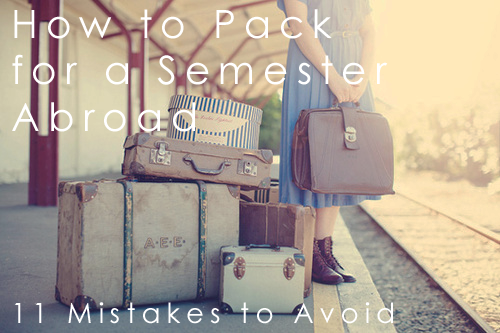 I'll share my massive mistakes, and provide some smart solutions... so you don't have to share in my overpacking misery. MISTAKE: Bringing too much luggage. As I said, essentially I brought 4 pretty sizable bags. SOLUTION: Bring one large suitcase and a 30-40L backpack for weekend trips. Remember - this is a lot of space. Just because you have two big bags doesn't mean you have to FILL them. MISTAKE: Bringing 20 scarves & 5 thin jackets. Scarves are bulky, and 5 jackets are too many - not to mention I needed something a little more heavy duty once we got into December. SOLUTION: Bring 3-4 scarves, 1 heavier coat and 1 lightweight jacket. SOLUTION: Things like your favorite foundation or specialty product (like prescription face wash) should come with you. Regular things like body lotion, body wash & shampoo (especially things that you will run out of anyway) should just be purchased once you land. No use wasting precious kilos & space on things you can easily pick up abroad. This goes for things like tampons, Qtips, nail polish remover, etc. Bring enough to get you through a week and grab some at a local store. It's fun trying new products abroad! I found some of my favorite lip gloss & mascara when I was living in England. Don't be afraid to try something new. SOLUTION: Do your research about the time of year you'll be studying abroad in your specific location. Pack 80% for your climate you'll be in full time, and 20% for specialty items. So for me, I should have brought primarily jeans, tops, boots, and sweaters, and brought a few dresses, tank tops, a pair of shorts and flip flops for warm weather trips. This way, I was outfitted for a trip to Greece, but I didn't have half of my clothing sitting useless for most of my time in London (plus, most places nearby were cold in October). Also remember, layering is your friend! MISTAKE: Overpacking on shoes, purses & other accessories. Let's just say there were at least 3 pairs of heels and 4 medium-large purses. SOLUTION: One of each would suffice - athletic shoes, boots, flats, sandals. I did not need heels AT ALL (I wore one pair one time).... the nice flats, boots or sandals would have worked just fine. Also, one carry-all bag, a cross body bag (great for traveling!) and a clutch would have fit inside of each other and covered a multitude of sins. SOLUTION: Choose versatile pieces, like neutrals, and add color w/ jewelry & scarves. Also, choose pieces you can layer & pack easily without wrinkling. Make sure that these pieces mix & match with other items, so you'll have the maximum amount of outfits with the least amount of pieces. SOLUTION: Anything you'd be lost without, please leave it at home. 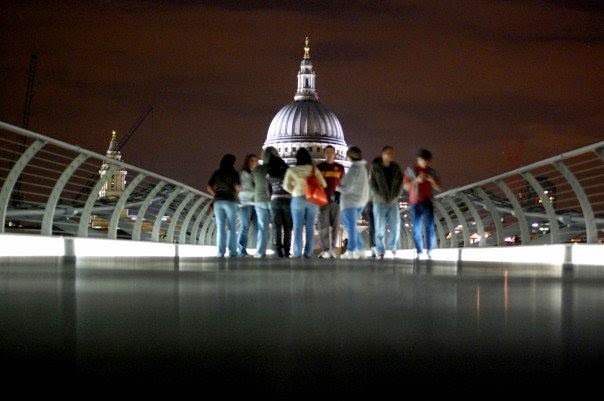 It's unlikely that you'll be mugged, but why risk it? Keep valuables at home and bring costume jewelry, leave extra delicate tops and dresses and opt for less expensive pieces. SOLUTION: I believe this was my problem in my entire packing strategy. Why bring two light weight black jackets... when 1 works just fine? Why bring two pairs of neutral flats? Why on earth bring 20 scarves, when you're only going for 4 months?!? I'm telling you, less is more. The truth is.... with all that clothing, I still felt like I had nothing to wear, because so little of my "closet" worked together. I had plenty of "fancy" clothes (ya know, JUST INCASE...), but not as much for the every day. I had 5 jackets, but none of them kept me warm! I ended up wearing mostly the same things, but I brought so much - for pretty much no reason at all.